A bathroom isn’t complete without a mirror. Any interior designer will tell you how essential mirrors are for creating a feeling of space in the bathroom as they reflect and bounce light around the room. The bathroom mirror also serves a great number of practical purposes in helping people when they are trying to get cleaned and presentable every day, whether applying make-up, shaving or arranging hair, the bathroom mirror gives us confidence in our appearance at the start of every day. Choosing the correct mirror for the bathroom, one that works both on a practical and stylistic level, is therefore very important. This article will lay out some of the important considerations when choosing your bathroom mirror. Contemporary mirrors can offer you much more than just a reflection. There are now numerous types of mirrors with add on features meaning that if you so choose, your mirror can provide you with a multitude of uses. For this reason, it is important to consider the main purpose of your mirror and what functions you would like it to offer. For example, if you are finding that you are running out of storage space in your bathroom and having to leave items scattered around the bath or sink, a bathroom mirror with a cabinet would be an ideal solution. There are several types of mirrors and features that are worth considering as a starting point. 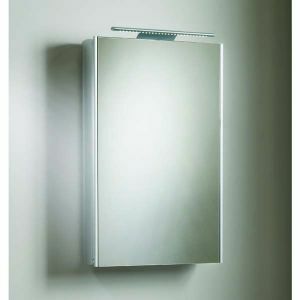 A cabinet mirror is the perfect solution if you struggle for storage in the bathroom or keep a lot of bathroom products. While it is important to be careful that there is enough room for a cabinet and its swinging door, making prior measurement and consideration essential, the value of installing a cabinet to remove clutter and instantly make a more spacious bathroom cannot be understated. 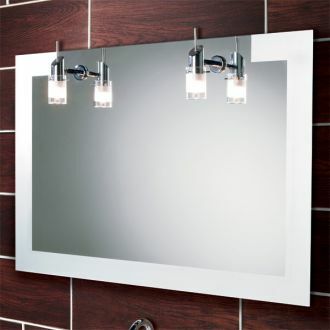 The market for mirrors with lights is ever expanding with new, innovative illuminated mirrors arriving all the time. Typically more well suited for the contemporary bathroom, these exciting designs work perfectly for the modern man or woman who can apply their make-up or shave in front of the bathroom mirror. 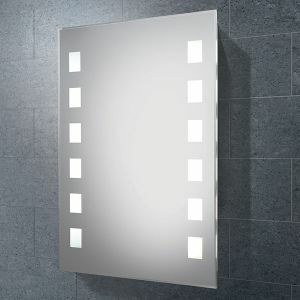 From the bold 3D tunnel effect offered by an Infinity Mirror, the chic, stylish and modern option in the LED mirror or a battery powered mirror that can ensure even a bathroom without a power connection is well-lit, there is a huge selection of illuminated bathroom mirrors to choose from. Mirrors that are not steam free are often of little use, immediately fogging up when a bath is run and only clearing up well after the user has finished with the bathroom. Fortunately, steam free mirrors are increasingly common. Removing condensation from your mirror with a simple heated pad, steam free mirrors ensure that you can use your mirror when you need it most. It is also essential to consider the correct size of the mirror. While the mirror should be large enough to be useful and practical, there will inevitably be limitations depending on the size of the bathroom. It is often best to carefully measure the space you intend to use before purchasing a mirror. The height of a mirror will often be limited by the height of bathroom counters. Important considerations when choosing where to place the mirror in your bathroom are; the size of the sink, the height of the bathroom users, and the wall space above. Typically, how far above the mirror hangs from the sink or counters depends on how high the ceilings are. Be careful not to view your bathroom mirror purchase in isolation. Remember that the style and shape of your mirror needs to be consistent with the wider décor of your bathroom. If the existing design and layout of your bathroom is modern, minimalist and sleek with neutral colours and polished steel fixtures then choosing a more contemporary style of mirror such as unframed or bevelled is likely to work well. Conversely, such a style is clearly less compatible with a traditional bathroom which may feature more ornate, elaborate designs or wood framework. Be aware of the finish and framework of what is already in the bathroom, use a wood or metal finish that is in coordination with what is already there. If the rest of the bathroom uses chrome, be sure to match that with your mirror frame. Here at Midland Bathroom Distributors, we are proud to stock a wide variety of sizes and types of mirror for your bathroom from high quality, industry leading manufacturers. Our Birmingham based warehouse, the largest in the Midlands, carries a huge quantity of stock, more than what is displayed on the website so please do contact us if you cannot find what you need. If you need assistance or any more information then please get in touch at 0121 603 832, we will be more than happy to help you find the ideal solution for your bathroom.